Drew Brown was as solid as ever on field goals and extra points, Caleb Lightbourn made massive strides as a punter and JD Spielman gave the Huskers a little pop on kickoff returns, but the coverage units and and punt return were disappointing. 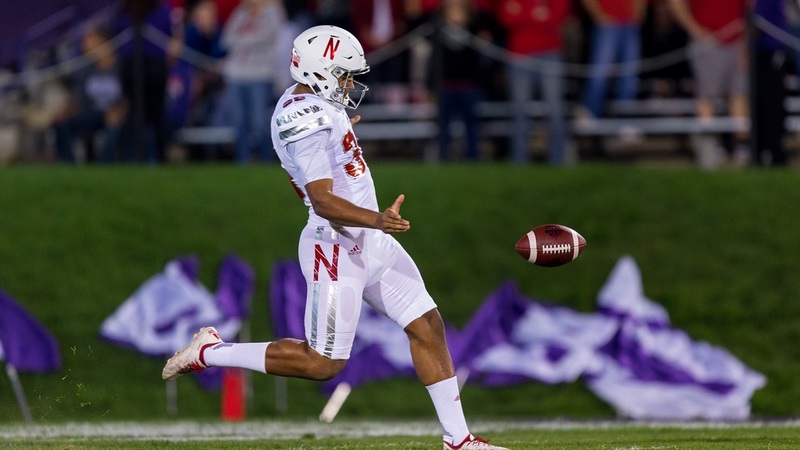 Nebraska’s apparent complete abandonment of returning punts despite having a player who was once an All-American doing just that was a consistent issue for fans throughout the Mike Riley era. Whether it was Bruce Read and his $450,000 contract or Corey Booker with help from others, Nebraska and De’Mornay Pierson-El never rediscovered the magic that produced a 17.5 return average and three touchdowns during Pierson-El’s freshman year. Pierson-El never quite regained his freshman year form, but that didn’t really matter all that much when it seemed like he had guys in has face on the catch on nearly every punt. Nebraska prioritized punt safe and punt block over punt return, and it showed in the numbers. For whatever reason, they didn’t see punt return as a weapon. Special teams coordinator and outside linebackers coach Jovan Dewitt didn’t promise things would dramatically change this season, but he did say they might. It all depends on the personnel. Hughes averaged 16.6 yards per return on 14 returns and scored three times as a punt returner in his one year in Orlando. Does Nebraska have anyone who can come close to him as a returner? Only time will tell. But if a dynamic returner does emerge, Dewitt is going to give him a chance to shine. Husker legacy Drew Brown was as solid as it comes at the kicker position over the last few years. He was 24-of-28 on field goals (85.7 percent) and 75-of-75 on extra points over the last two seasons. The sad part is the Huskers didn’t really take advantage of that strength with just 14 attempts in each of the last two years. The Huskers either failed to reach field goal range or turned the ball over when they did for much of the season, limiting Brown’s impact. Still, one could argue that Brown is Nebraska’s biggest loss from last year’s team. Nebraska has two options to replace Brown: redshirt freshman walk-on Cole Frahm and true freshman Barret Pickering. The early returns from the freshmen in the spring game were far from encouraging, but Dewitt said last week that both kickers had made progress, although neither one had taken a lead in the race. Regardless of who wins, it’s going to be tough to maintain the accuracy of the last few years. Even Brown himself struggled a bit as a freshman, converting just 66.7 percent of his kicks (14-of-21). Central Florida’s kicker, Matthew Wright, was in the 70s in terms of percentage in each of his first three seasons in Orlando. If Nebraska can get that kind of accuracy out of whichever kicker wins the race, Coach Scott Frost will probably be happy.